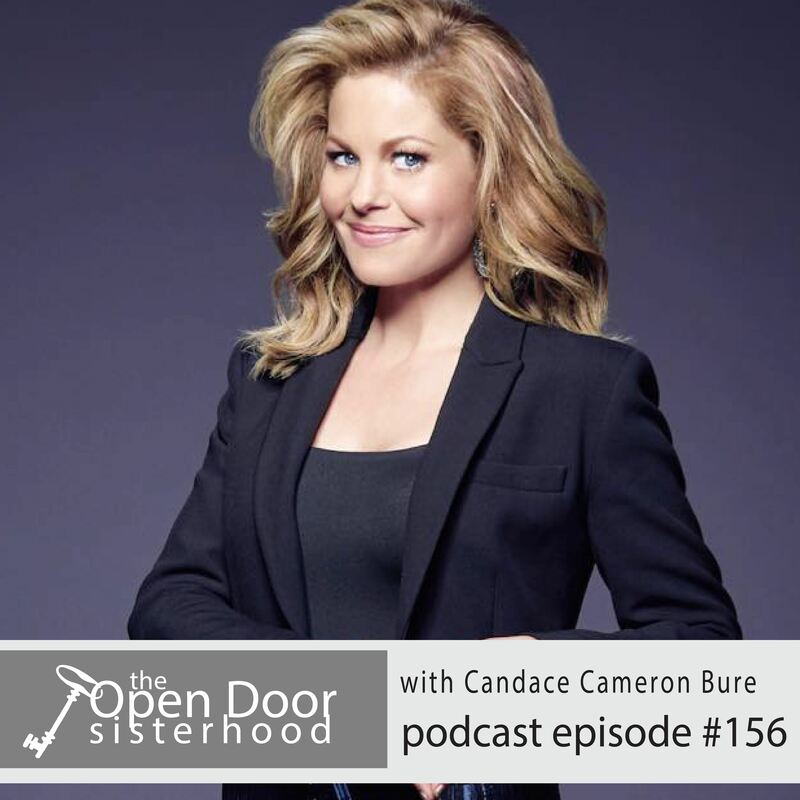 Candace Cameron Bure has been in the spotlight since she was a girl, but no one could be more down to earth than this mom of three. From her early days on Full House to her spot as a host on The View, fans have been following Candace through every phase of her life. In recent years she has been a voice promoting kindness and civility in all situations. After speaking with her we can see why. Everything about this woman is simultaneously thoughtful and bold. A true sister to watch and learn from. In our hour with Candace we hear why parenting teenagers has been her favorite, how she fits fitness into a very busy schedule (it involves an electric toothbrush), deciding when to say “yes” to hard things, and the power of going first in kindness. We hear how she met her husband (and how he learned English in part by watching Full House reruns), about her new children’s book, and when making a way into new territory often is simple obedience to God’s call. We recorded our conversation with Candace while she was in Canada taping a Christmas special for the Hallmark Channel. In the midst of long taping days, she made time for the sisterhood. We get the sense that’s how she operates. Get your favorite cozy drink, put the Hallmark Channel on pause, and settle in for a great episode of The Open Door Sisterhood Podcast. You will feel you have a new friend in Candace Cameron Bure. You can catch up with Candace on her website, Facebook, Instagram, and Twitter. Listen to our conversation on iTunes here.